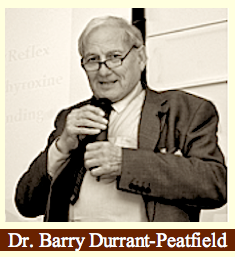 Barry Durrant-Peatfield MBBS LRCP MRCS is a specialist/consultant in the diagnosis and treatment of metabolic and thyroid-related diseases. He has been a medical practitioner for over forty years and specialises in metabolic disorders. 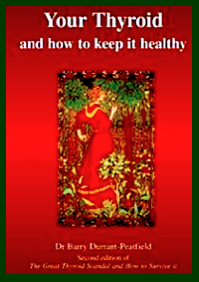 He is a leading authority in the United Kingdom for thyroid and adrenal management. It is clearly evident that it was not considered by the BMA (British Medical Association), British Dental Association (BDA), BFS (British Fluoridation $ociety) and FPHM, (Faculty for Public Health and Medicine) since they all insist, as in the briefing paper to Members of Parliament – that fluoridation is safe and non-injurious to health.. This is a public disgrace. 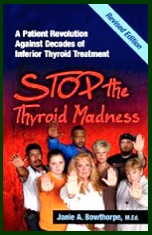 I will now show by reviewing the damaging effects of fluoridation with special reference to thyroid illness. It seems to me that we must be aware of how fluoride does its damage. It is an enzyme poison. Enzymes are complex protein compounds that vastly speed up biological chemical reactions while themselves remaining unchanged. As we speak, there occurs in all of us a vast multitude of these reactions to maintain life and produce the energy to sustain it. The chains of amino acids that make up these complex proteins are linked by simple compounds called amides; and it is with these that the fluorine molecules react, splitting and distorting them, thus damaging the enzymes and their activity. 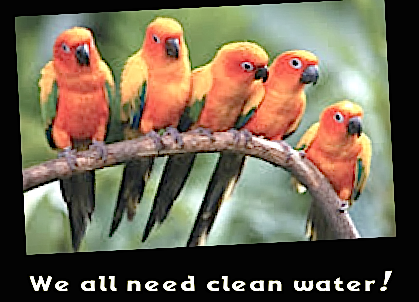 Let it be said at once, this effect can occur at extraordinary low concentrations; even lower than the one part per million which is the dilution proposed for fluoridation in our water supply. THE BODY CAN ONLY ELIMINATE HALF OF THE TOTAL INTAKE. First the immune system. The distortion of protein structure causes the immune proteins to fail to recognize body proteins, and so instigate an attack on them, which is Autoimmune Disease. Autoimmune diseases constitute a body of disease processes troubling many thousands of people: Rheumatoid Arthritis, Systemic Lupus Erythematosis, Asthma and Systemic Sclerosis are examples; but in my particular context today, thyroid antibodies will be produced which will cause Thyroiditis resulting in the common hypothyroid disease, Hashimoto’s Disease and the hyperthyroidism of Graves’ Disease. 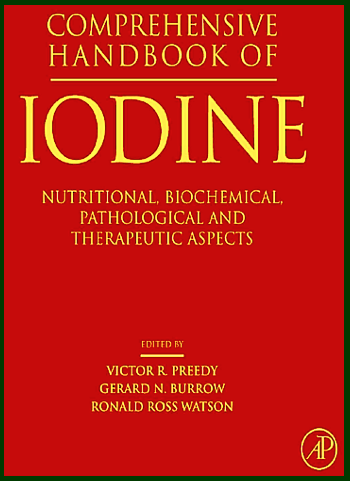 L Goldemberg – La Semana Med 28:628 (1921) – cited in Wilson RH, DeEds F -”The Synergistic Action Of Thyroid On Fluoride Toxicity” Endocrinology 26:851 (1940). what his colleagues call bad medicine. Seems like a mark in his favour to us.